The weather was beautiful this past weekend so I headed outside and fired up my grill. 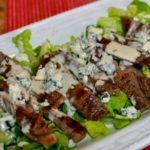 I’d picked up some rib eye steaks at the grocery and had some beautiful fresh lettuce in the fridge, so, combining the two was the obvious thing to do. 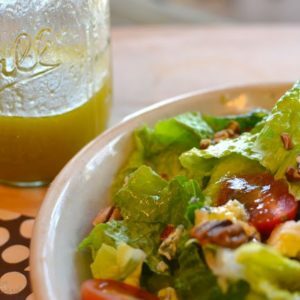 I’d been working on a new salad dressing that is a creamy version of my Favorite Vinaigrette Dressing so this was the perfect opportunity to try all three of these ingredients together. 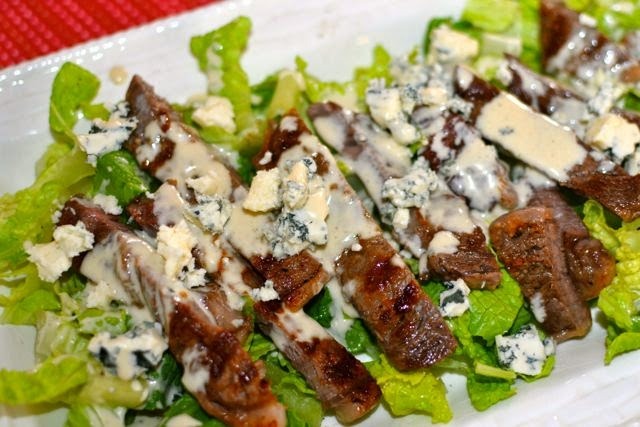 Warm steak layered over crisp crunchy greens with intense, rich Gorgonzola cheese and a flavor packed creamy dressing. It's a delicious way to end a day. 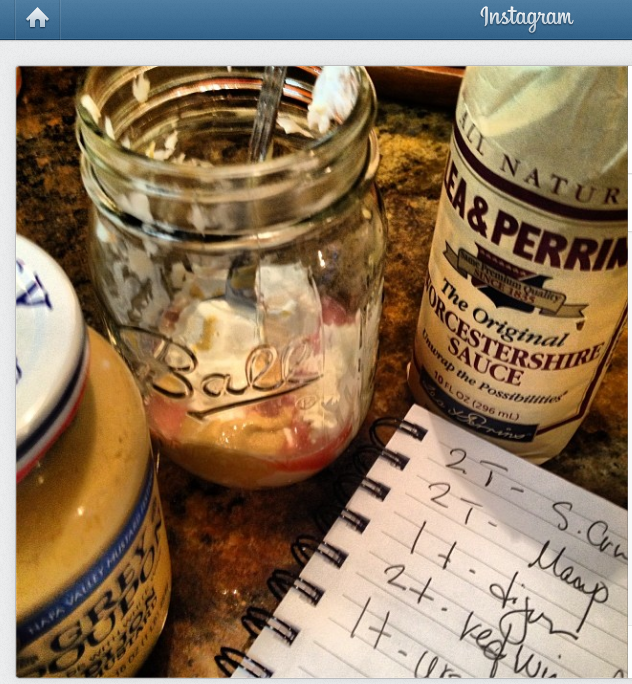 Place all ingredients in a mason jar or sealed container. 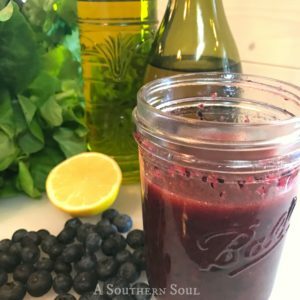 Shake until all ingredients are mixed well. Set aside. Wash and roughly chop romaine lettuce. Place in fridge to chill. Heat outdoor grill or indoor grill pan to high heat. Sprinkle steak with salt and pepper and place on grill to cook. For medium grilled steaks cook on each side for 3 minutes, remove steaks from grill and let rest for 10 minutes. 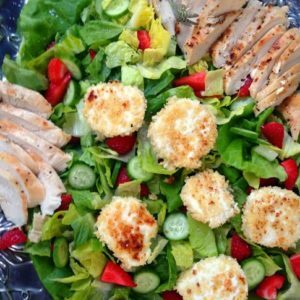 Place lettuce on large platter, top with cheese, and sprinkle with salt & pepper. 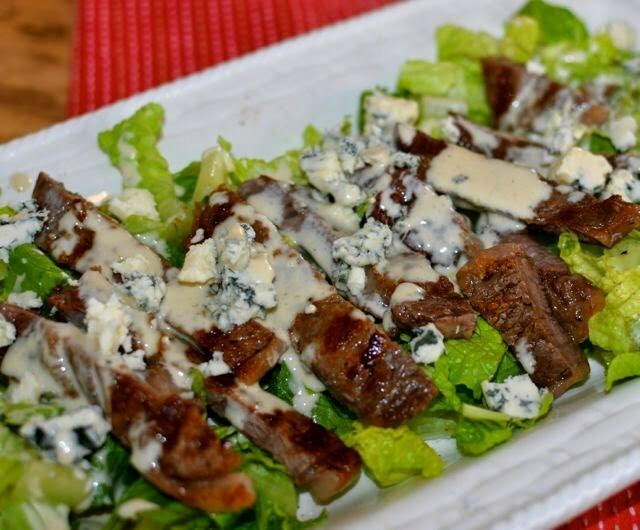 Slice steak and layer onto salad. Don’t forget to follow me on Instagram and on Bloglovin!